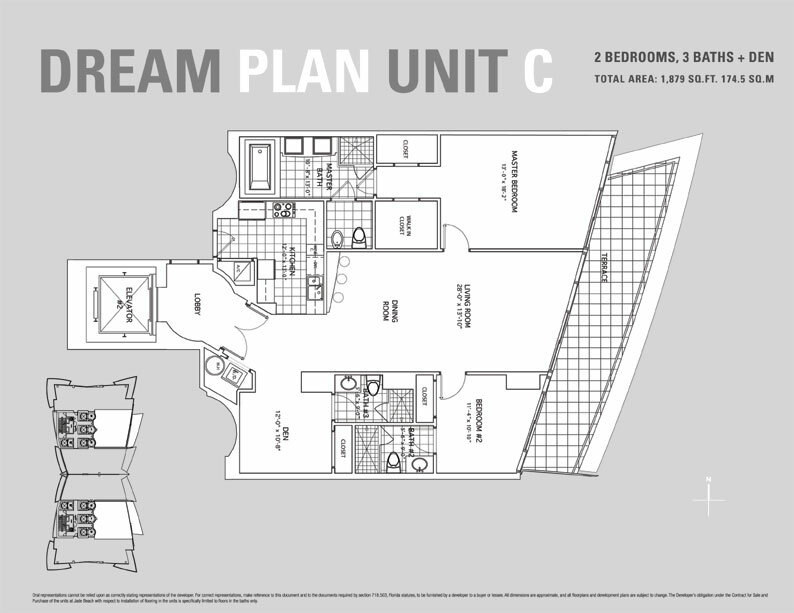 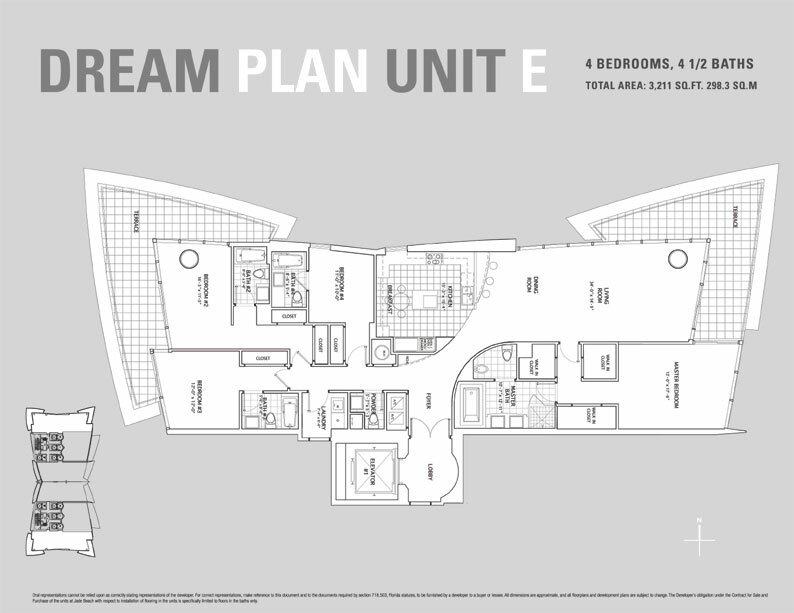 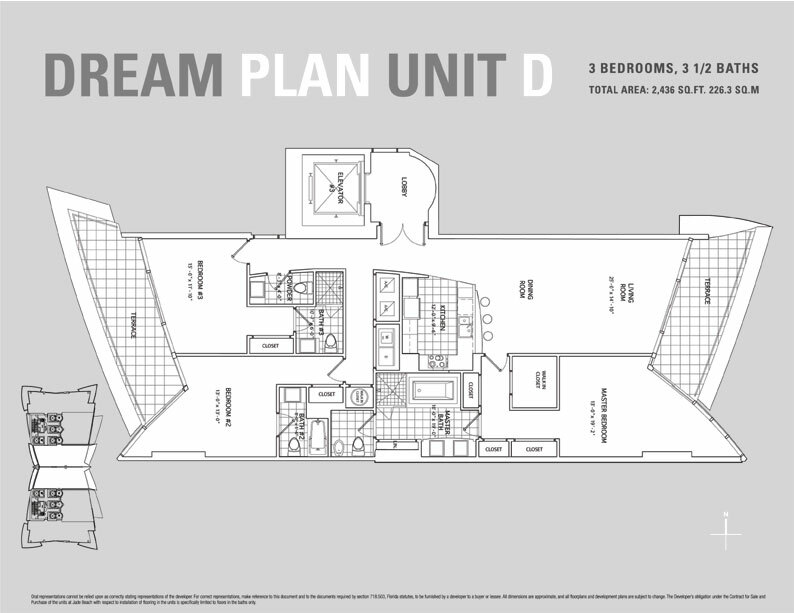 Units Sizes: 862 Sq.Ft. 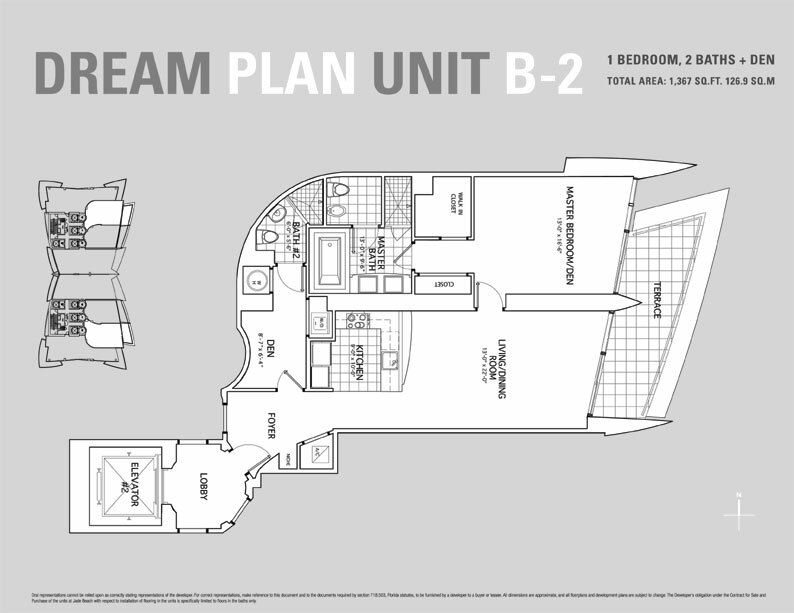 to 8,282 Sq.Ft. 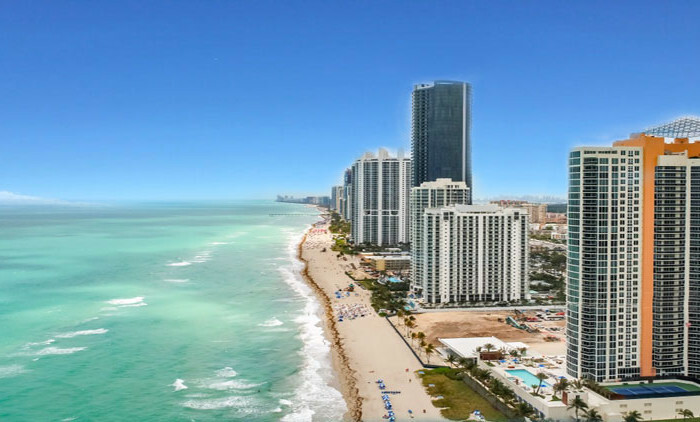 Jade Beach Residences is a distinctive high-rise residential condominium located on the oceanside in Sunny Isles Beach next to its other two sisters Jade Ocean and Jade Signature. 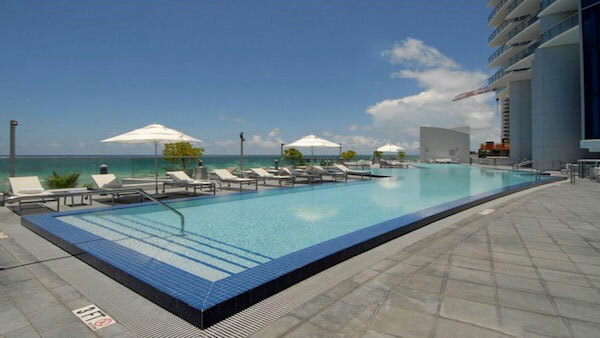 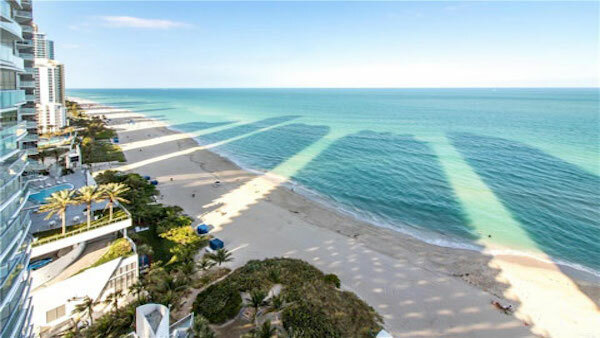 Jade Beach was finished in 2009 with 52 floors (549 Feet), the tower has a glass facade with a three-stories grand entrance lobby with incredible ocean and pool views. 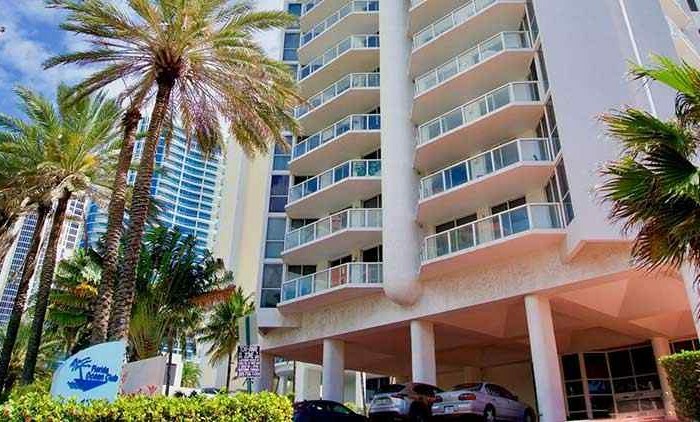 Impressive 3-story cascading fountain from pool deck to the beach, lushly landscaped gardens, reflecting pools, and a stairway that reminds you of the “Versailles Castle”. 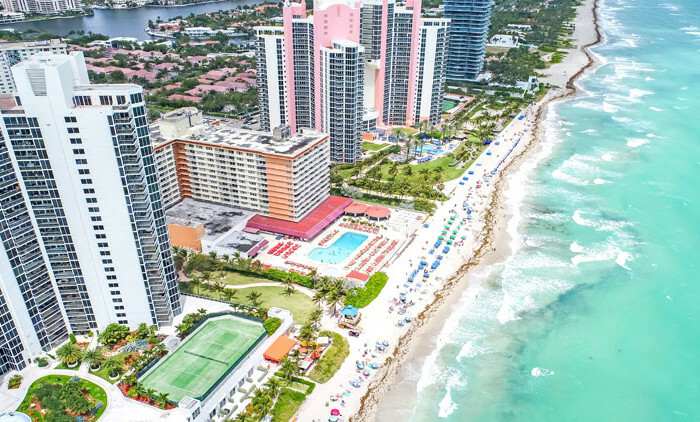 Your home comes with superior modern amenities to define a new standard in luxury living, from the latest in smart technology for interactive communication to a private beach club with cafe and cabanas. 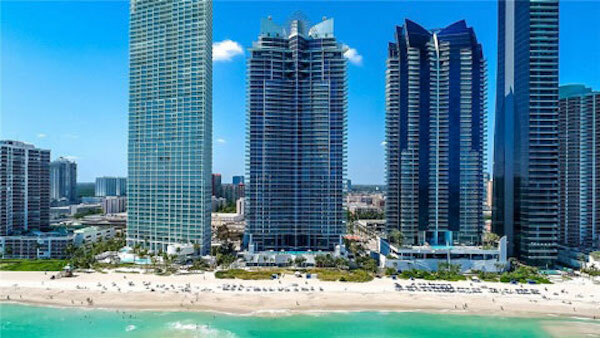 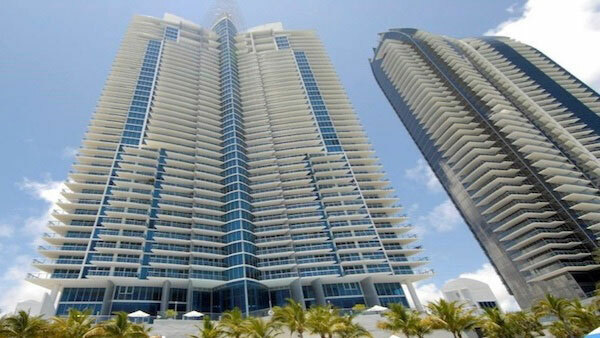 Jade Beach in Sunny Isles Beach offers residences with floor to ceiling hurricane windows and large terraces with unobstructed panoramic views of the Ocean, Intracostal and the city sky of Sunny Isles Beach. 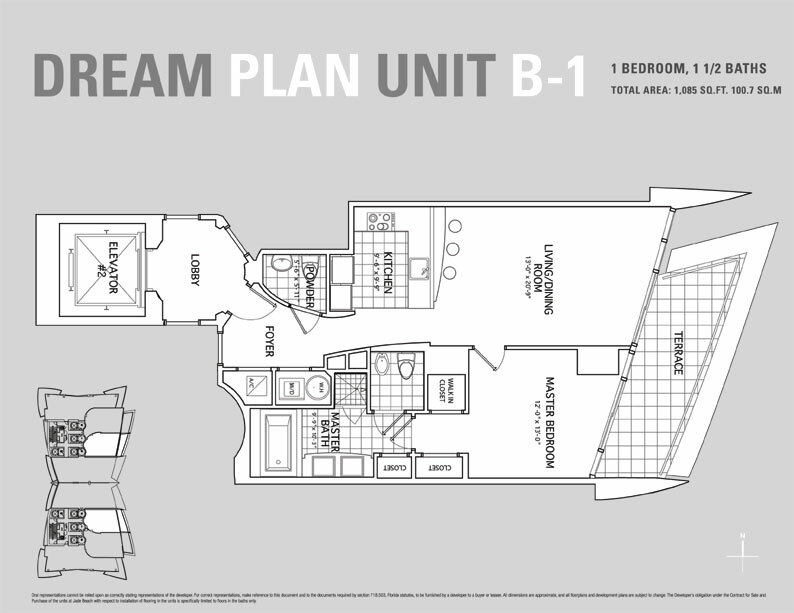 Snaidero wood and glass kitchen cabinets with granite and stainless steel backsplashes, Miele and Sub-Zero stainless steel kitchen appliances, infinity-edge whirlpools, and separate shower, spacious walk-in-closets. 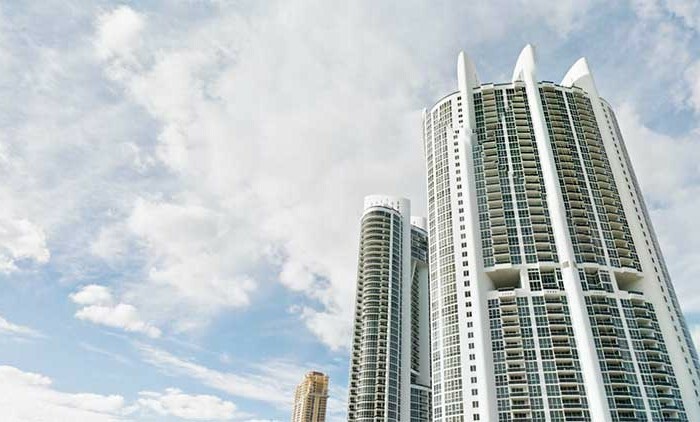 Eighteen of the 248 residences at Jade Beach are Penthouses; the PH is a unique two-levels beachfront unit with 4BR-5.5BH with soaring 22′ ceilings and 4,141 Sq.Ft., unobstructed 180 degrees of Ocean and Intracostal views with 4 large terraces. 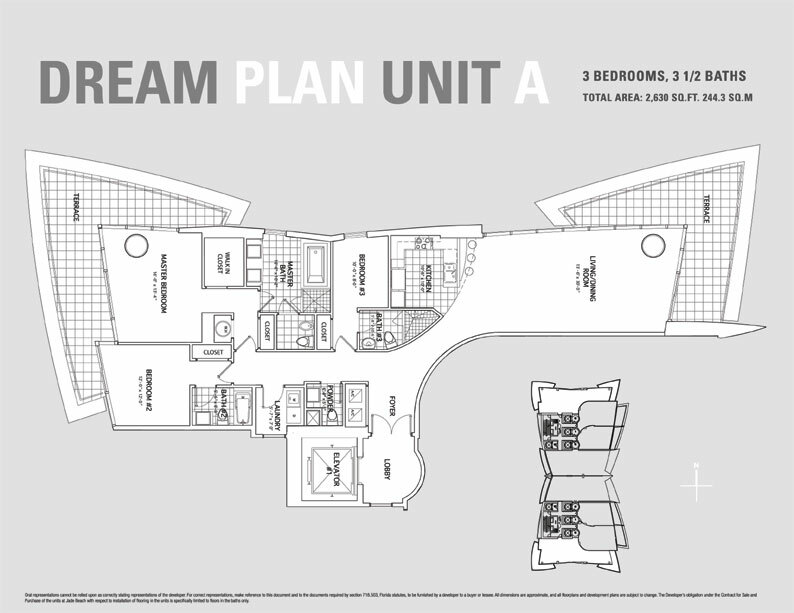 This PH incorporates the best technology available in today’s market, allowing full automation of temperatures, lights, blinds and music from your smart device, a curved floating staircase leads upstairs to the master bedroom suite plus 2 more bedrooms. 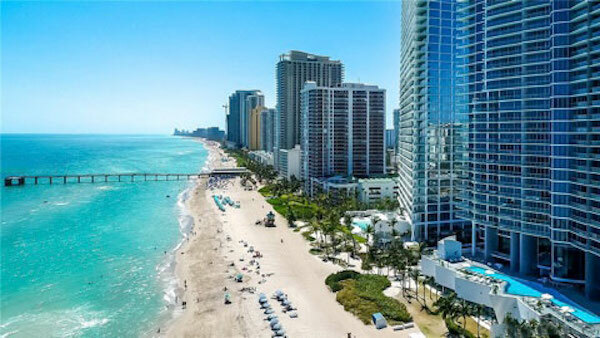 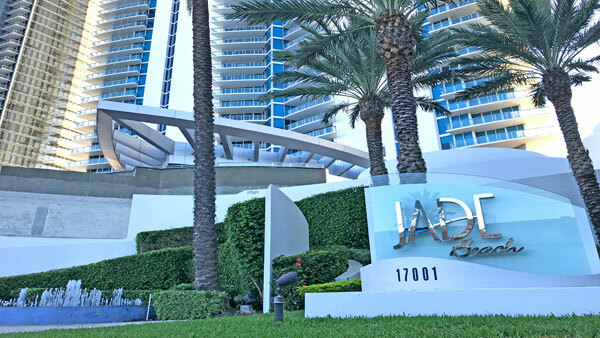 Jade Beach Residences is perfectly located between the prestigious Bal-Harbour Shops and Aventura Mall, as well as Miami and Fort Lauderdale International Airports. 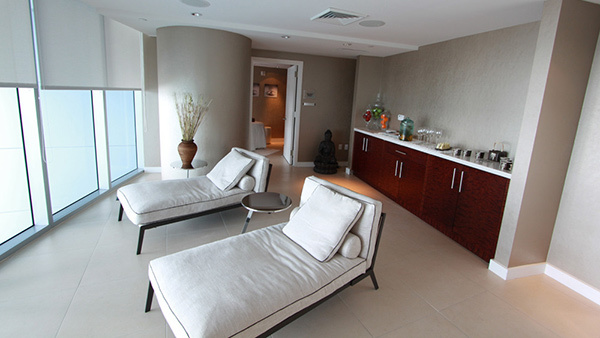 It is a luxury residence that caters to your whims and desires, and where everybody speaks hospitality and service.